Have you ever thought that a cube of chilled ice can be one of the prime ingredients in your beauty regime? Yes, you heard it right. Though not known among many, ice cubes do make for an excellent solution to enhance your beauty in an easy and effective manner. Read below and get to know how ice cubes not only add glow to the skin but also rejuvenate it in a perfect way. Forget about those tans on your face: Our skin gets tanned due to overexposure to the sun rays. In order to get rid of these dark patches and blotches, applying ice cube on the face and other affected area is widely suggested. The chilling sensation of ice successfully help fade off the sunburn, thus making your skin look brighter. Helps as your make up rescuer: Secondly, using ice cube on the face before going out can be a great rescuer. Not only if makes your face look fresh and vibrant but also prevents distortion of makeup, thus making it last longer. It is suggested that you rub an ice cube on the face and neck before applying makeup for best result. 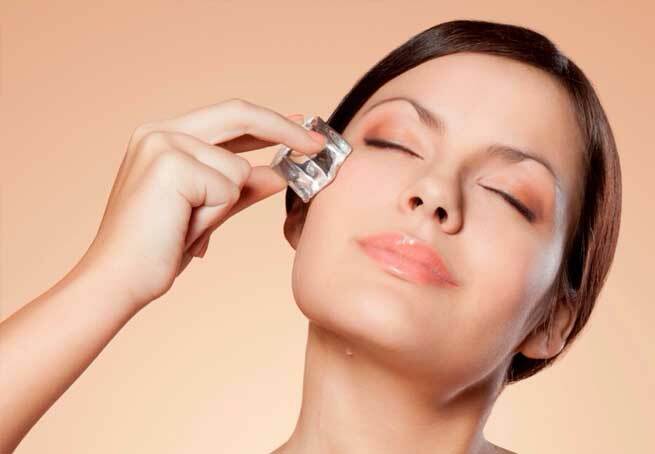 Good for Acne: If you suffer from acne and its itchy feeling, know that applying ice cubes can be of real help. It easily blocks the skin pores, thus preventing entry of bacteria which result in painful acne problem. Moreover, ice gives a soothing sensation on the skin that heals the redness and skin bumps rightly. 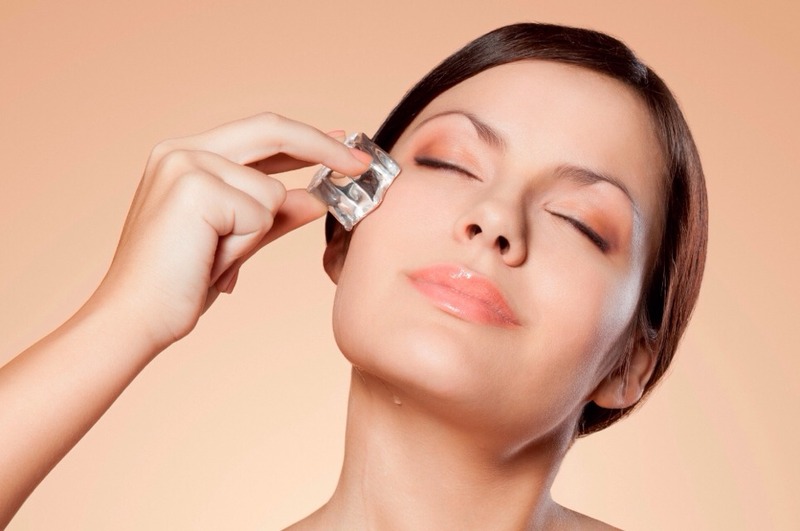 A handy help to get rid of oily skin: Ice cubes are also great if you want relief from oily skin. Its cool essence absorbs the excess oil from the face and makes you look sparkling and radiant without any extra effort. Anti- aging benefits: Regular use of ice cube on the skin is observed to make it smooth and clean which is quite popular among mid aged women. 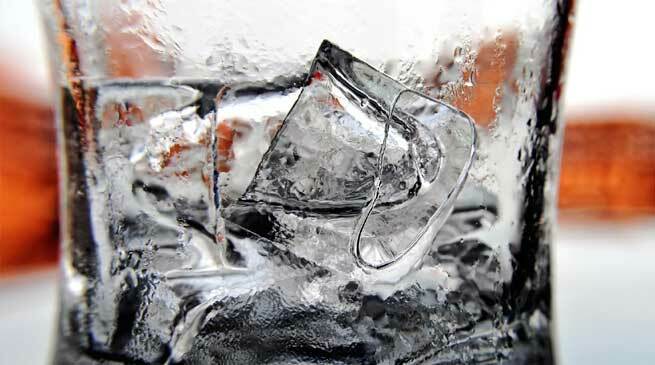 From reducing wrinkles to adding firmness to the skin, ice cubes can work wonder in your beauty routine. 1. Mix lemon juice, rose water and cucumber juice in equal proportion. Store it in the freezer for 3-4 hours. Apply this cool mixture on your face with cotton for quick relief from dark circles. 2. Make fruit juice at home and pour it in an empty ice cube tray. Allow it to chill for several hours. Now get ready to enjoy double benefits as you use these fruity ice cubes on your face. Not only it soothes the skin but also gives you a perfect fruit facial.